SILVER RUMBLERS are pure bass, clear tone and a low end that earns them the name "Rumblers". Their special Nylgut compound includes calcium carbonate to give them increased density, stability and the ability to resonate tone at very low frequencies. 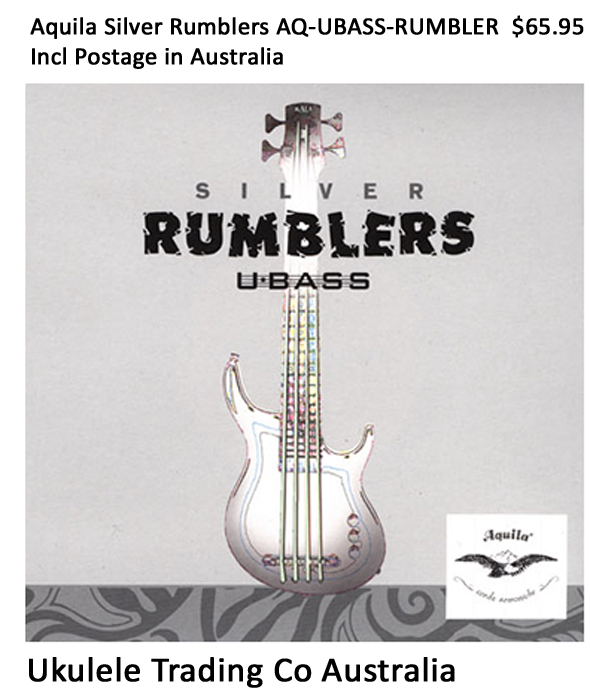 Using Aquila's patented technology and formulas, SILVER RUMBLERS are engineered specifically for the Kala U-Bass.